Hi! How have you been? yui of Tokyo! Comfortable wind blows in Tokyo. Autumn is right around the corner! Looking back at summer 2011, Nadeshiko Japan, a national women’s soccer team, has made a big movement and become the nation’s star. They’re now competing at the final round of Asian qualifiers, and many people pay attention to the matches! Apart from such well-known soccer, do you know that a bit different world cup was held in Paris, France at the end of August? Participants in this world cup are all homeless people. 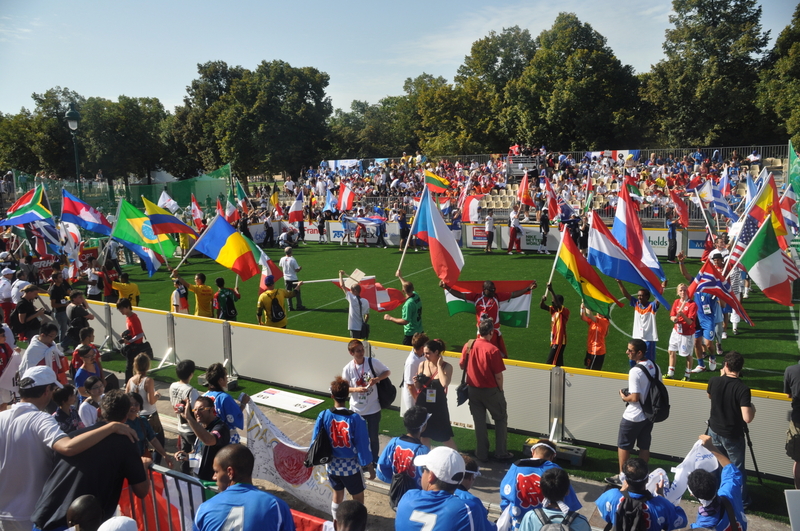 Players, who aim at being independent individuals, gather to join this world cup from 64 countries around the world. Futsal stands as a good chance for the homeless people to “be positive and step forward”. This world cup has been supported by many volunteers. The Great East Japan Earthquake endangered the participation of the Japanese national soccer team, but the committee called for donation to support the Japanese team, which enabled the team to join the world cup. The Japan Foundation joined and supported this donation activity. 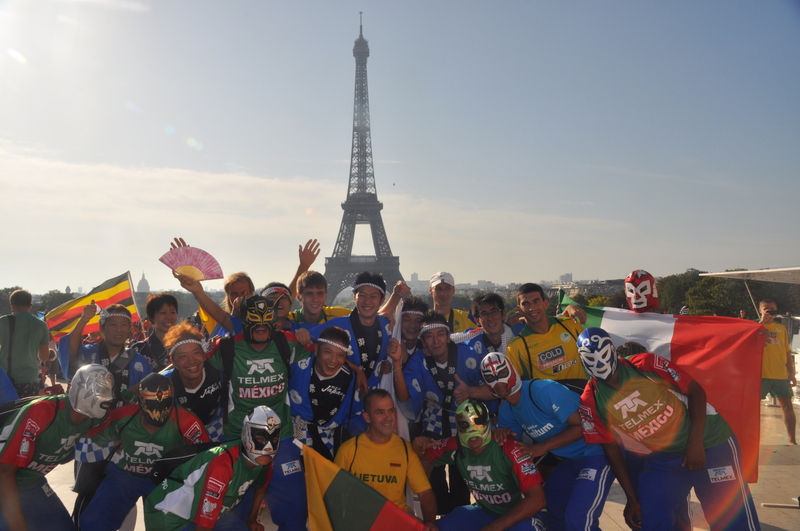 The name of the Japanese national soccer team for this Homeless World Cup is “Nobushi Japan”. I hit upon an idea that most of the Japanese national teams have their own nicknames, but some of them might not be widely known?! NADESHIKO JAPAN (Women’s soccer) … You know this nickname, don’t you? SAMURAI JAPAN (Men’s baseball) … This is famous as well! I don’t know much about sport, so sometimes mistake it for “SAMURAI BLUE”. HAYABUSA JAPAN (Men’s and women’s basketball) … Yes, I’ve heard about this nickname owing to recent women’s basketball success! SAKURA JAPAN (Women’s hockey) … I didn’t know there was a nickname like this! CRYSTAL JAPAN (Women’s curling) … Have you heard about Team Aomori or curling girls? HINOTORI (FIRE BIRD) NIPPON (Women’s volleyball) … How cool they are! RYUJIN (GOD OF DRAGON) NIPPON (Men’s volleyball) … This nickname comes from the God! Sounds very strong! FAIRY JAPAN POLA (Rhythmic sportive gymnastics) … This nickname expresses the elegance of rhythmic sportive gymnastics well. MERMAID JAPAN (Synchronized swimming) …Well.... Bingo! Members of synchronized swimming team are all beautiful like a mermaid! TOBIUO (FLYING FISH) JAPAN (Swimming) …Su su sure…. That’s right. There are many like this! It is said that the origin of these nicknames is “HINOMARU HIKOTAI” of ski jumping. In Japan, for the name of teams to represent the nation, the combination of words to express Japanese uniqueness, strength and advantages of the sport and Japan or Nippon is preferred. What nicknames do you have for your national teams?